A psychic ex–CIA agent finds himself entangled in a conspiracy and hunted by a killer in this wild adventure from the author of the Mongo Mysteries. After a brain infection at birth almost killed him, Veil Kendry developed a unique power: His vivid dreams can transport him to the edges of time and to the minds of other men. A Vietnam veteran, martial arts instructor, and former CIA agent, Veil now makes a living painting landscapes unlike anything anyone has ever seen. The highly regarded Institute for Human Studies has invited Veil to undergo a battery of tests at their Big Sur facility to better understand his abilities as an artist. Although Veil is game for anything, nothing can prepare him for the secrets hidden behind the walls of the institute—or the ensuing fight to stay alive. 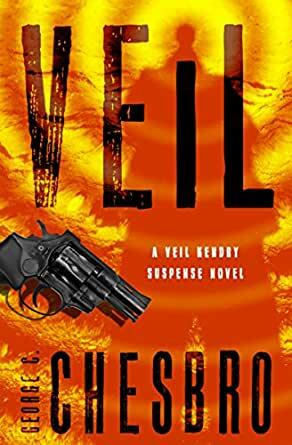 Veil is the 1st book in the Veil Kendry Suspense Novels, but you may enjoy reading the series in any order. Veil is a clean, pleasant, thought provoking book I would place in sort of the light occult thriller genre.